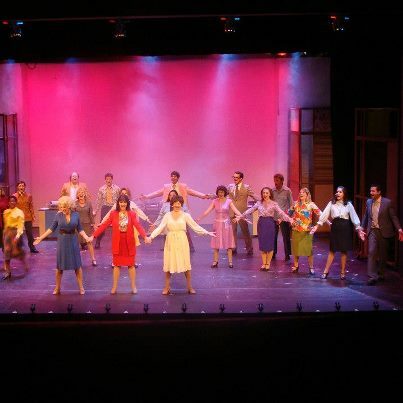 WHAT A FANTASTIC OPENING NIGHT FOR “9 TO 5: THE MUSICAL” AT ALT!!!!! Everything went great! The crowd LOVED it! And the post-show Opening Night party was a blast (thanks Carolyn Hogan and team!) We even had Donnie Chase from 100.3 The Peak there to celebrate with us — he’s so nice! HUGE CONGRATS to the awesome cast and crew for their hard work! Don’t miss this incredibly hilarious show! ← SEE WHY OUR AUDIENCES LOVE “9 TO 5: THE MUSICAL”! NOW THROUGH NOVEMBER 11TH!